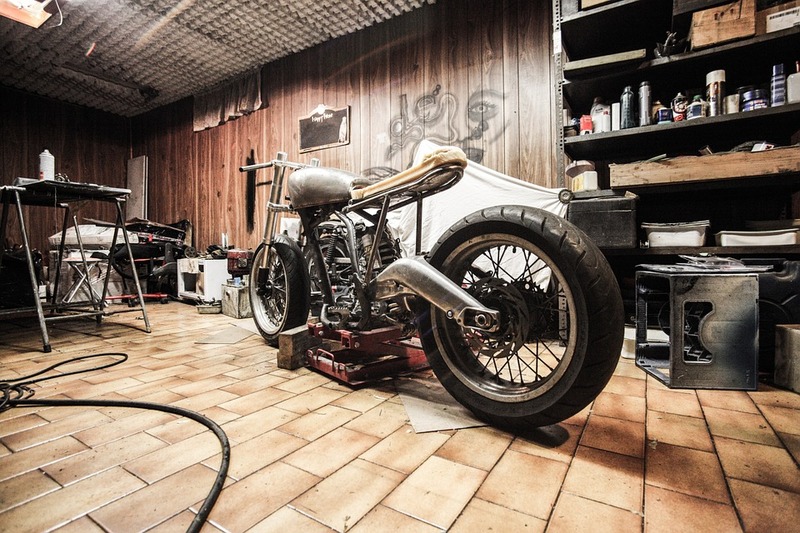 Because cars, DIY etc have been seen as male pursuits for so long, the garage often occupies a space in the house that’s unlike any other. Generally, it’s seen as a place for a man to go when he wants to ‘get away from it all’ and enjoy things that other members of the household may not appreciate, like drinking beer or watching sports on the TV. Needless to say, most garages that are repurposed into ‘man caves’ are very masculine places indeed – they feature lots of chrome, lots of dark colours, lots of stored equipment and usually not much space to actually move around. Whoever wants to chill out in the man cave usually has to step over car parts or gardening tools, which doesn’t exactly make for a relaxing environment. It’s time to take a page out of the book of more feminine-orientated interior design, then, and work on actually opening up a garage to decoration, light and space. Before you begin work on a proper man-cave, consider what type of garage you have. If you have a garage with a carport, for example, your job might be considerably easier – you don’t have to worry about leaving space for the car. Smaller garages might be harder to work with, but it’s still very doable. Definitely consider installing a window in your garage if you don’t have one already. Without one, your garage is probably going to end up like a literal cave: dark and cramped-looking. And clear out everything in your garage that you don’t need – garages far too often end up as storage areas for useless junk, and that’s not conductive to a relaxing space. After that – there are hundreds upon thousands of ways to decorate a garage and make it a fun space to hang out: you just have to work out exactly what you’re primarily going to use it for. For example, if you’re going to use it mostly for watching sports, you’ll want the TV to be in a prominent position and you’ll want to keep any heavy-duty gardening tools, paints etc far away from it. And you might want to consider wall storage for your tools instead if you currently have them all just lying around or stuffed into a drawer. An organised man cave is a happy man cave! Consider where seating is going to go, and how you plan on keeping that seating clean. (Hint: don’t ask your wife to do it for you.) It’s pretty much a given that you’re going to need some sort of permanent seating if you’re planning to spend a lot of time in your man-cave, so look on the Internet and get some ideas.